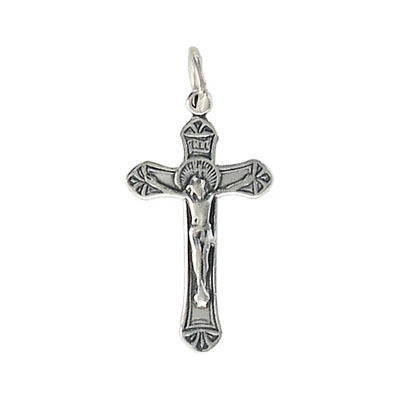 Crucifix pendant sterling silver. (SKU# RA28X16/SSWH). Sold individually.